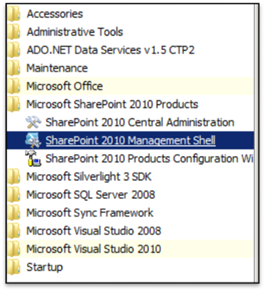 One of the things you might have to do as an admin in a large organization is to find out if a particular user is a SharePoint Site Owner and Admin. I had to do this when a long time SharePoint developer left the company. They are not the same thing, no matter what you may read. This script will sort through all the owners and members of the site admin group on a given server. It will locate your user if they are an Owner or an admin on any SharePoint site on that server. It uses the SharePoint snapin and at least where I work, I need to run it as the Farm Administrator. The output is a tab delimited file that opens up nicely in Excel. Add-Content -Path $strPath "`t`t$($siteAdmin.ParentWeb.Url) `t $($siteAdmin.DisplayName) `t $($siteAdmin.LoginName)"
$user = Read-Host "Input user name or part thereof to find [Contoso\User*]"
$strPath = $filename = "E:\Reports\users.txt"
Add-Content -Path $strPath "$User Owner and\or Admin `t$comp `t$date`n"
Add-Content -Path $strPath "Site.Url `tSite Owner `tParentWeb Url `tSiteAdmin DisplayName `tSiteAdmin LoginName"
Add-Content -Path $strPath "$($Site.Url) `t $($Site.Owner)"